Duffy and his lady friend ShellieMay. You Disney pros know who they are. But those of you who are confused why Mickey the Mouse isn't in there? Read this piece about who is the most popular Disney characters in Asia. We've been to Disney Parks in the past around Christmas time and because of that, we usually end up with at least one Christmas-related Disney Pin. I've covered some of these on the blog before. Here's a photo and post about a Stormtrooper with a candy cane holiday Disney pin. 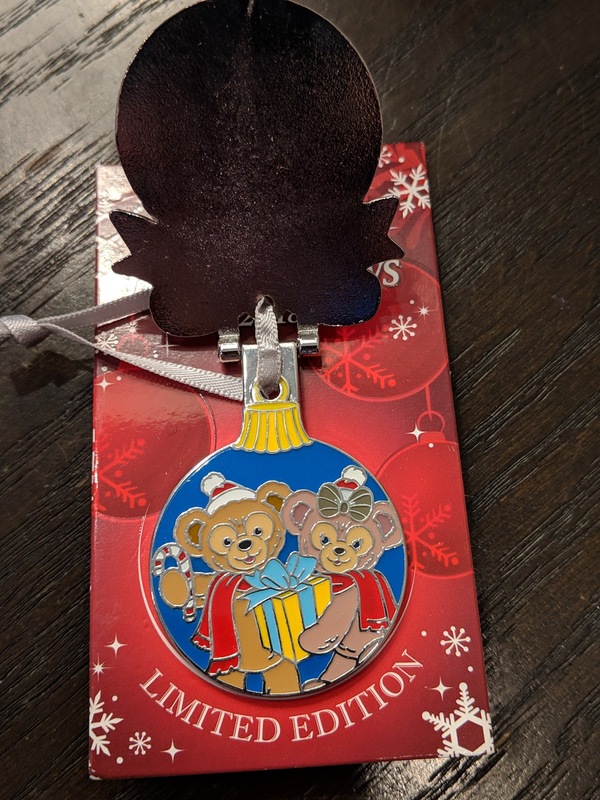 Here's a Haunted Mansion Mickey's Very Merry Christmas Party pin from 2015. We also bought two other pins from the same party in 2015 including one with Mickey, Minnie and Pluto and the other a Passholder one featuring Huey, Duey, and Louie. 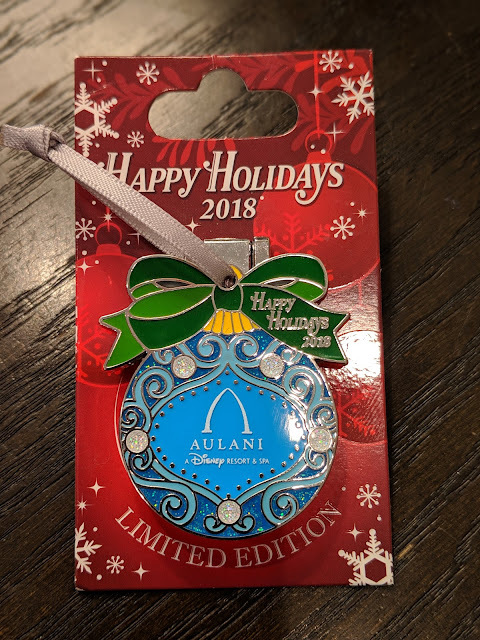 Here's a Chip and Dale Polynesian Resort Christmas pin from 2015. In 2016, we bought a few Very Merry Christmas Party pins including one with Elsa, a Passholder version with a gingerbread Mickey guy, and one with Lilo and Stitch making a sand snowman. We also bought some resort-specific pins at Christmas 2016 including Donald Duck from the Wilderness Lodge, Chip and Dale from Fort Wilderness, Pumba from the Animal Kingdom Lodge and Mickey Mouse in his boardwalk best from the Boardwalk Inn.